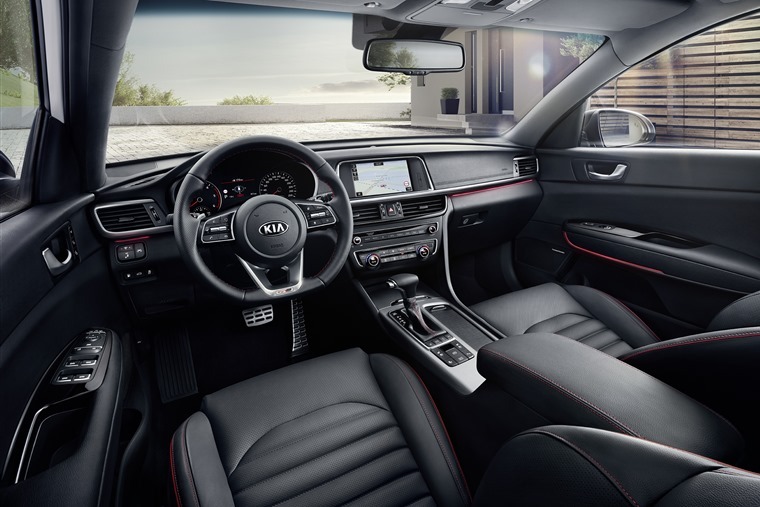 The 2018 Kia Optima was unveiled back at the Geneva Motor Show, and ushers in a host of design tweaks inside and out, as well as a new 1.6-litre diesel engine. List prices for the tweaked line-up start at £22,260 for the Saloon and £23,100 for the Sportswagon. 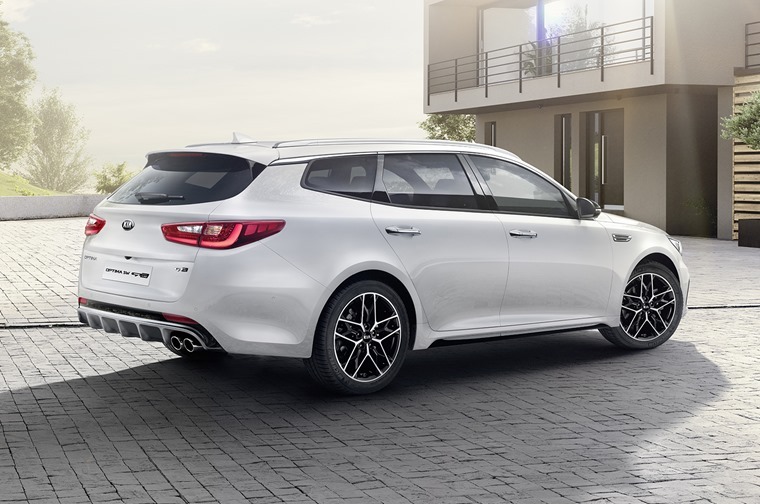 The saloon model also benefits from a new rear bumper design, while the Optima’s 16in, 17in and 18in alloy wheels all benefit from a new design too. GT and GT-Line models feature some extras, such as gloss black trim and air intake. The GT-Line is also distinguished by a new dual-twin exhaust, while the GT gets chromed twin exhaust tips. Inside, the cabin gets a fresh steering wheel and a redesigned centre console, and the upholstery can be specified in black, two-tone black, grey cloth and leather, as well as a newly added brown cloth option. Grade ‘2’ models come with black cloth upholstery, level ‘3’ versions have black cloth with faux leather upholstery, with ‘GT-Line S’ models featuring black leather upholstery with red stitching. The interior’s overall look remains largely the same as before, although there is now ambient lighting around the dashboard and doors, which allow occupants to choose between six different colours. They also change depending which driving mode you’re in. Seven- or eight-inch touchscreen infotainment systems are available, both of which offer navigation and are Apple CarPlay- and Android Auto-friendly. A new Driver Attention System has been added too, which monitors the driver to combat distracted or drowsy driving. Kia has added two new engines, the first of which is a 1.6-litre turbo diesel that replaces the 1.7-litre option. It produces 134bhp and 320Nm of torque. It emits 117g/km of CO2 and gets a a combined fuel economy figure of 62.8mpg. 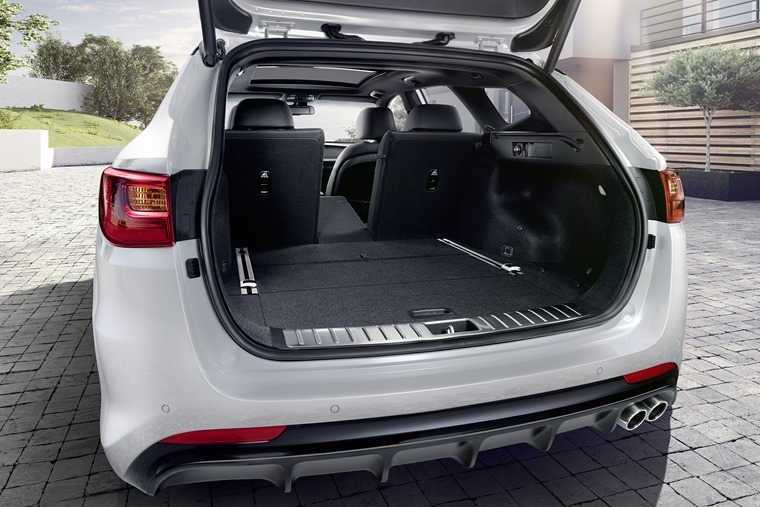 The second new engine is a 2.0-litre turbo-petrol that you’ll find in the range-topping Sportswagon GT. It gets a 0-60mph time of 7.3 seconds and 241bhp. It’ll be available exclusively with a seven-speed dual-clutch automatic gearbox which will allow drivers to change gear via steering wheel-mounted shift paddles. 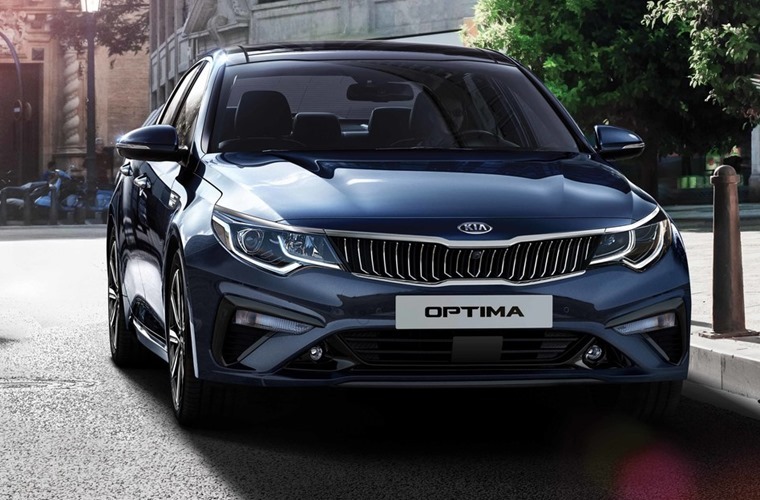 The Optima benefits from a new Drive Mode system too, which lets the driver choose between Eco, Comfort, Sport and Smart mode. Each mode enables the powertrain to customise the engine’s response to driver input, whether that be to prioritise fuel consumption or maximise acceleration. 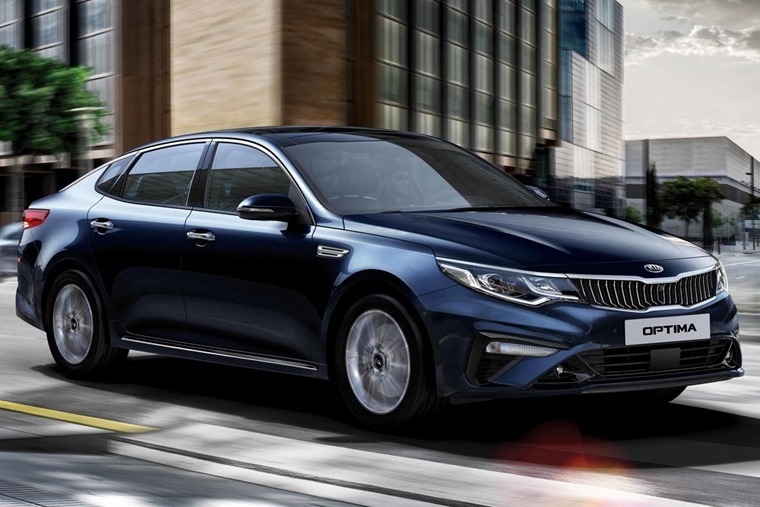 Order books are set to open in the autumn, but if you can’t wait for the new model, check out these lease deals on the current Optima that cost less than £200 per month.